Police agencies across the county held drunken driver checkpoints Friday night and early Saturday morning, which led to 19 arrests in Pacific Beach and National City. 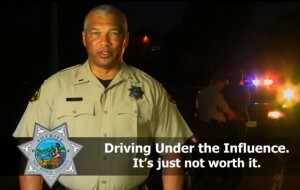 Public service message from San Diego County Sheriff’s Department. The San Diego Police Department made 16 drunken driving arrests at the checkpoint in the 2700 block of Garnet Avenue in Pacific Beach, Officer Mark McCullough said. That checkpoint ran from 11 p.m. Friday until 3 a.m. Saturday. The National City Police Department conducted a similar drunken driver checkpoint in the 2600 block of Highland Avenue in National City from 6 p.m. Friday to 1 a.m. Saturday. Officers arrested one driver for drunken driving and two drivers for being under the influence of drugs, police said. Officers there also issued 37 citations for driving on a suspended license or driving without a license. A checkpoint at Oceanside Boulevard and Vine Street in Oceanside ran from 9:30 p.m. Friday to 1:30 a.m. Saturday, and it resulted in no arrests, the Oceanside Police Department reported.